Twitter is great for sharing interesting things you find on the web. In fact, close to a quarter of all Tweets include a link in them. Despite the high volume of sharing, there is plenty of room to make it easier. 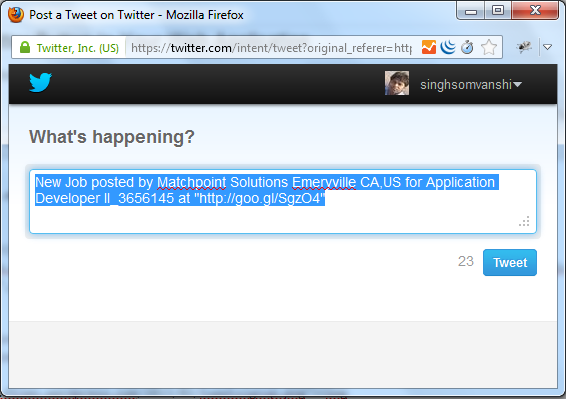 So, I have recently created “Share on Twitter” functionality in my application. Now you can use this functionality too with yours application. where you want to add tweet button. 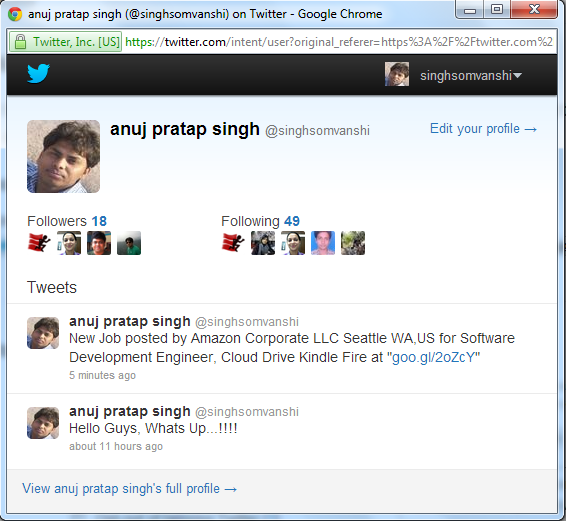 Note : In above code you can configure tweet button accordingly, For ex. text: You can give Tweeting contents within text. 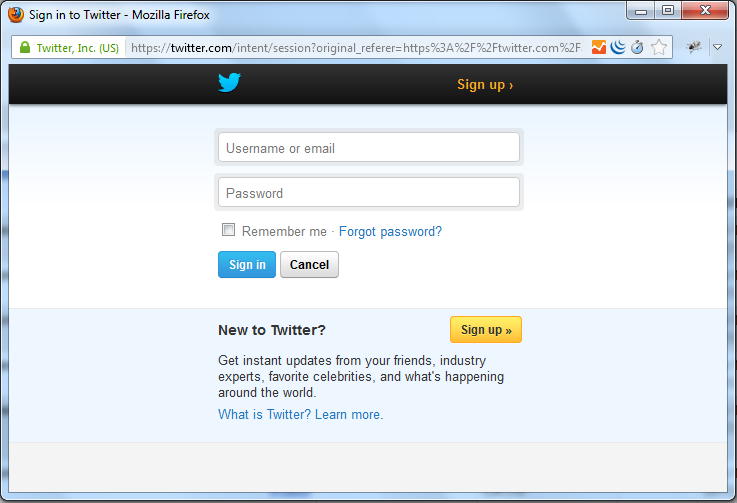 Same as Tweet Button you can also create Follow Button for Twitter. For achieve this functionality you can just copy and paste below code in your html. I hope you will enjoy using this Tweeting and following button funtionality in your web application. Please try this out for yourself to see how it works.